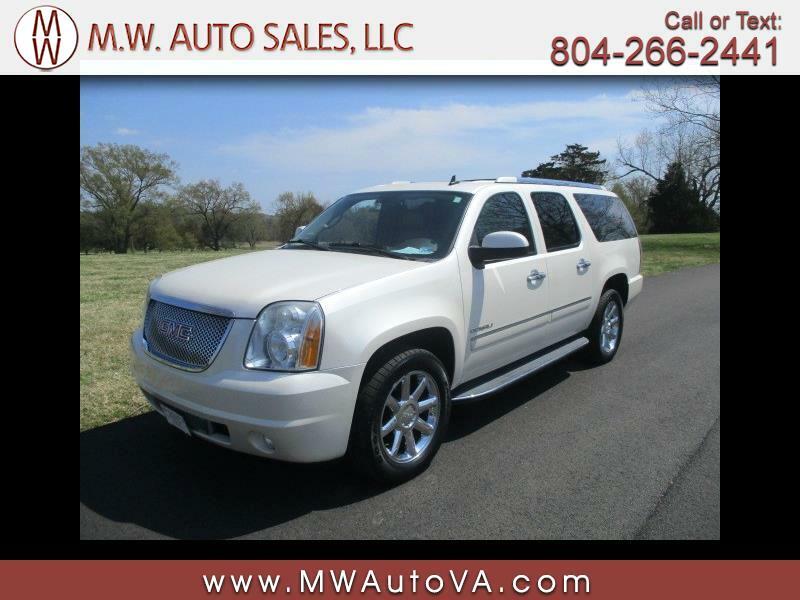 We are pleased to offer for sale this 2010 GMC Yukon Denali XL 2WD with only 50,458 original miles. It comes finished in an all original white diamond tri-coat exterior over a super fresh cashmere leather interior. This Yukon XL comes loaded to the gills with all options including heated and cooled front seats, heated steering wheel, power moonroof, power liftgate, navigation, backup camera, rear entertainment DVD system, blind spot monitoring system, and 20'' chrome wheels.